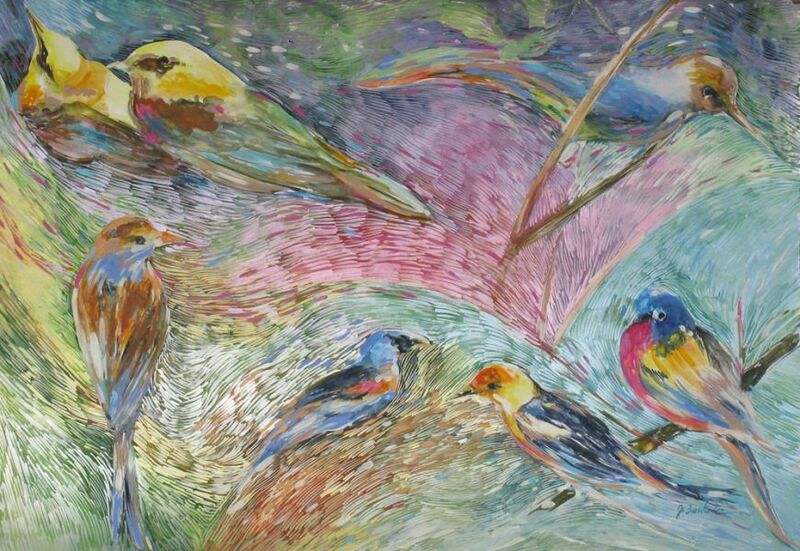 Inquire about "Memory of Songbirds". Inquire about "Memory of Songbirds"
Memory of Songbirds has been custom framed in gorgeous champagne moulding that will go perfectly with the gold or silver accents in any room. The paper is channel floated on off-white matting providing depth and allowing the viewer to enjoy its deckle edge. The piece is an elegant mate to Memory of Hummingbirds. Overall Framed Dimensions: 43 x 55 in.